Blokes on Track Aboriginal Corporation (BOTAC) is a group of men who have big ambitions. BOTAC plans to play a role in addressing some of the significant challenges facing Aboriginal people and communities in Central Australia and contribute to a more positive future. Some of the major issues BOTAC is aiming to address are low life expectancy, homelessness, high incarceration, domestic violence and suicide. BOTAC will tackle these issues by working closely with men who have been struggling for an extended period, helping them to get their lives back on track. Participants will be provided with ongoing education and support from outstanding male role models in a physical and psychological environment where they can feel secure and connected to Country. Once they have completed the program, men will feel empowered and responsible, ready to make a contribution to society and become respected members of their community. 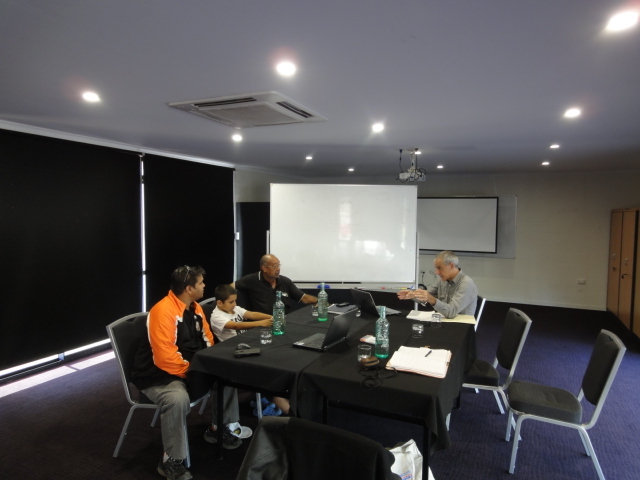 Experienced ICV volunteer Stephen travelled to Alice Springs to work with BOTAC members on a concept plan which will consolidate the group’s objectives and proposed direction. Stephen developed an excellent rapport with the BOTAC members, and together they created a plan that sets short-term goals and a path to their overall dream. BOTAC will present the concept plan to the local Land Trust to secure the lease of land to run the program and to form a partnership between the two parties.